The mission of the Neshoba County School District is to provide students with a quality educational experience that reflects the values, needs and ambitions of our community and enables each student to succeed personally. We are fortunate to live in a County in which board members, administrators, teachers, parents, students and community leaders come together to ensure that we continue providing an outstanding education for our future leaders.Our board and administration are here to serve the students, parents, administration and community leaders throughout our great County. The Neshoba County Schools are on Golf Course Road and St. Francis Drive just off East Main Street. 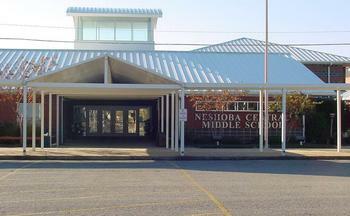 The Neshoba County Public School District serves students in grades pre-kindergarten through 12th. 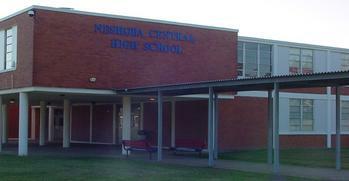 The district consists of Neshoba Central Pre-K, Neshoba Central Elementary, Neshoba Central Middle, and Neshoba Central High School. The Neshoba County School District has a "B" accrediation rating. The Pre-K school consists of 4-year-old students in two classrooms with an enrollment of 40. The curriculum is set by the State Department of Education with pre-school benchmarks and objectives. Deidre Maxie is the director of Pre K School. All day classes are taught by two certified teachers and two assistant teachers. The elementary school consists of grades kindergarten through fifth with an enrollment of 1,609. 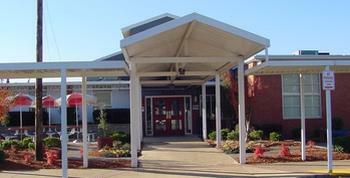 The school has a "C" accreditation rating; Gifted student program in second grade through fifth grade; Accelerated Reading Program; Accelerated Math Program; Shared and Guided Reading Program; Extensive Training in Learning Styles Student Models; Character Education; Parent Teacher Organization; and school website. The middle school consists of grades six through eight, with an enrollment of 788. The school has a "B" Accreditation; Gifted student program in sixth through eighth grades; Accelerated Reading and Math Programs; Integrated Science Curriculum; school newspaper; Parent Teacher Organization; art; band; chorus; general music; eighth grade Discovery Computer Lab; Bible Club; BETA Club; Future Educators of America Club; Student Council; Tobacco Education Program; and school website. The high school includes grades nine through twelve with an enrollment of 894. The school has a "C" Accreditation; Gifted student program; Accelerated Reading and Math Programs; 150 member band; vast array of clubs; school-wide annual staff; school website; athletic program consists of boys and girls basketball grades 7-12; boys and girls soccer, football grades 7-12; slow pitch and fast pitch softball; tennis; golf; track; cross-country track; power lifting; choir; and a Naval Junior Reserve Officer Training Corp, and offers advanced placement & dual credit courses. The center offers resources (books, tapes, educational games, CDs, videos, worksheets, etc.) and parent training for helping students with homework, classroom assignments, research, etc.